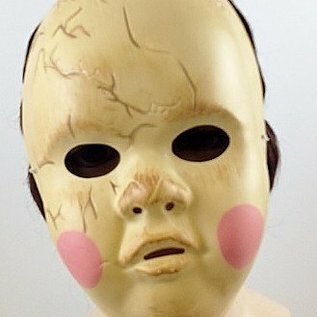 This is a very creepy mask! 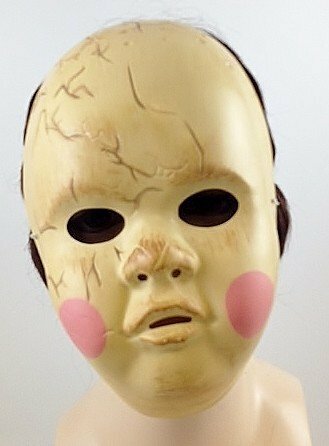 Light weight plastic face mask looks like an old dirty and cracked, porcelain doll. It even has with rosy cheeks and dimples for where the hair "used" to be. Complete with black screen covered eyes.